The new Recoil RDA is a collaboration project from famous Youtube reviewers Grimm Green and Ohmboy OC! These two vaping veterans put their heads together and after many revisions and updates, the Recoil RDA was born! Featuring many unique features that perfect its functionality and durability, the Recoil RDA features a 4 post design, with raised negative posts and post holes that allow the coil to keep it’s natural shape, and make centering and wicking even easier. This 24mm RDA uses a 22mm diameter deck making it easy to build, and wide enough to fit any build type you can throw at it! 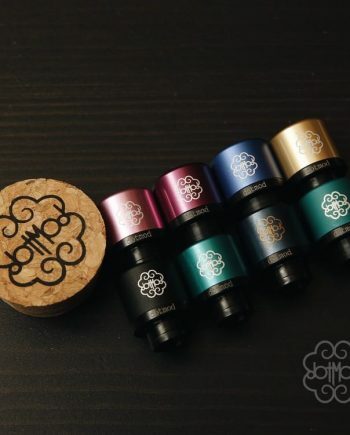 To keep the Recoil RDA simple and clean looking, it has a Fixed Airflow System, but comes with 2 barrels, to effectively satisfy any vaping style. The “Clouds Bro, Clouds” Cap features two 3.0mm airflow holes that slant diagonally directly down at the coils, giving you great flavour and cloud production alike. This cap is perfect for any vaper that likes an Airy draw and can accommodate any high wattage builds, while keeping the temperature down. 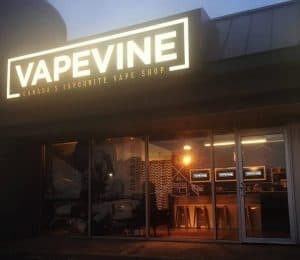 The slanted airflow holes are perfect for vapers that like to drip from the drip-tip, and due to the slanted holes, it allows the airflow holes to be higher up on the barrel, vastly reducing leaking from over-dripping at the same time. The “Flavour Bro, Flavour” Cap features two 2.5mm airflow holes that also slant diagonally directly towards the coils, and gives a slightly tighter draw that is perfect for those flavour builds. 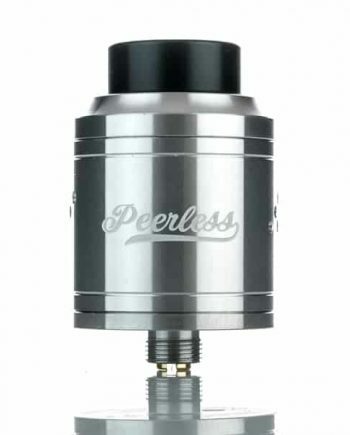 VAPEVINE Staff Review: “The Recoil RDA is perfect. 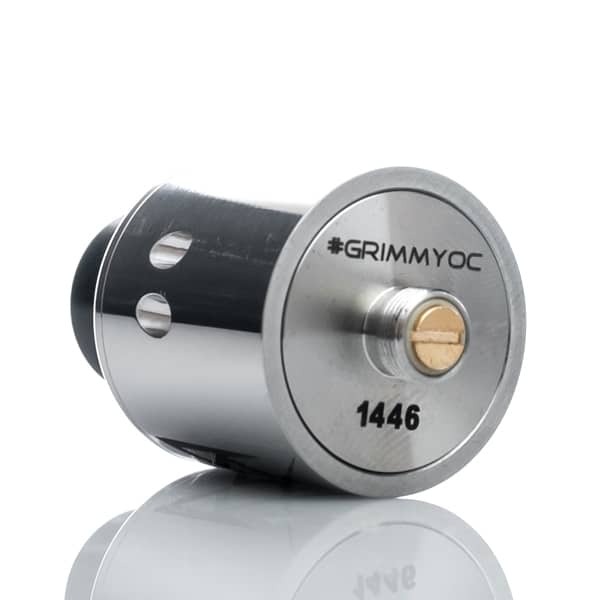 Designed by Two Vaping Veterans that have more years of combined experience that vaping is old, you can rest assured Grimm Green and Ohmboy OC have poured their heart and souls into this product, and thought of every necessary feature and improvement along the way! 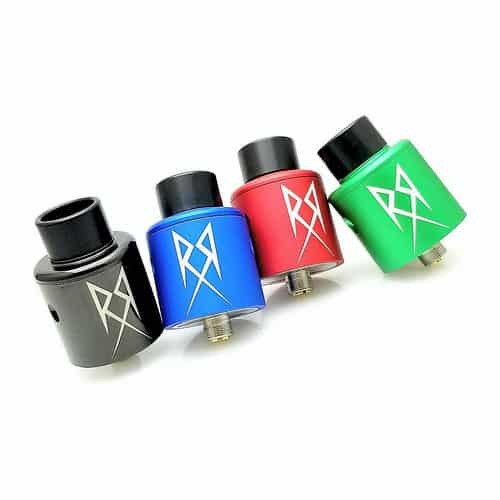 This is set to be one of the best RDAs of 2016 currently on the market, and the build quality is second to none. This will be one purchase that is guaranteed not to disappoint!